In our first segment, we discuss the current labor dispute happening at the Hyatt Regency in downtown Baltimore, where workers are attempting to organize with union UNITE HERE. We'll listen back to interviews with the general manager of Hyatt as well as a union representative and hotel workers. In our first segment, we discuss the current labor dispute happening at the Hyatt Regency in downtown Baltimore, where workers are attempting to organize with union UNITE HERE. 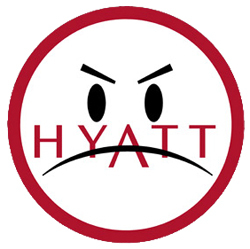 We’ll listen back to interviews with the general manager of Hyatt as well as a union representative and hotel workers. We’re joined in the studio by UNITE HERE Local 7 president Roxie Herbekian and Hyatt Regency workers Regina Davis and Luke Walsh-Mellet.